Pick Analysis: Was a team captain in 2014. Finished his senior season with 7.5 sacks and 23.5 for his career, which was the most by any active SEC player. He finished second on the team in tackles with 74, including 12.5 tackles for loss. Had his first career interception against South Carolina and returned it six yards for the game-winning touchdown. Started the final 38 games of his career and had 36 tackles for loss in his 45-game career. Was a quarterfinalist for the LOTT Trophy, given to a student-athlete that embodies integrity, maturity, performance, academics, community and tenacity. First-team all-state in Georgia, where he was a four-year starter at tight end and a three-year starter at defensive end. Had 10 receiving touchdowns and 10 sacks as a senior. Also won a state title in basketball. 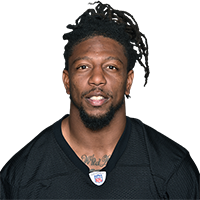 Published: May 1, 2015 at 10:57 a.m.
NFL Media's Ari Wolfe reports on why the Pittsburgh Steelers thought "Christmas came early" when they were able to draft Bud Dupree with their first round pick. Published: April 30, 2015 at 06:39 p.m.
Kentucky defensive lineman Bud Dupree reflects upon his road to the 2015 NFL Draft, but emphasizes that this is merely the beginning of his football journey. Published: Feb. 7, 2017 at 09:13 p.m.
University of Kentucky defensive prospect Bud Dupree impresses onlookers at the 2015 NFL Scouting Combine with an official time of 4.56 seconds in the 40-yard dash. Published: April 7, 2015 at 06:38 p.m.
Take a look at college highlights of University of Kentucky defensive end Alvin Dupree. Published: March 18, 2015 at 02:50 p.m.
Watch University of Kentucky LB Bud Dupree work out at the 2015 NFL Scouting Combine. What are Bud Dupree's strengths? Published: Feb. 22, 2015 at 03:01 p.m. The NFL Combine Crew analyzes University of Kentucky defensive prospect Bud Dupree and discusses possible franchise fits.